If you move out temporarily, you still have a claim on the house because it was your primary residency. If you bought the house, you also have a claim. However, this can change if you are separated for a prolonged period of time. If you establish yourself in a new residency for more than two years, the court could grant the current occupant of the house a greater portion of the marital property's worth. Even if you move out, you still have a claim on the marital home. The length of separation could be a factor in how much of its worth is granted to you. 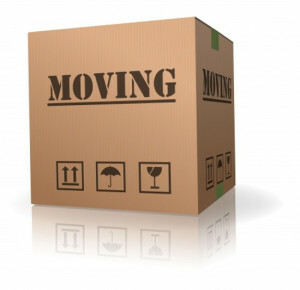 If you do choose to move out, you may be required to pay spousal support depending on who has a higher net income. However, before coming to an agreement on a divorce, you will still be required to pay off your portion of a mortgage loan or rent. This keeps you financially married to your spouse even though you may be emotionally separated. That’s why it’s best to collaborate before moving out. Determine a plan for you both that is financially fair. If you choose to mediate a divorce, you can create a temporary agreement about finances. If you are unsure about whether the separation will lead to divorce, you can have a separation agreement that outlines financial responsibiltiies. Abandonment is only considered by the court if your spouse makes a claim for it, and usually is only a factor if separation is very long and communication is almost nonexistent. If you are going through litigation, a contested divorce can last many months if not years. This is one reason you might want to consider mediation if moving out is an issue. Mediation can be as fast as six months and may eliminate the need for you to make a total move out. Keeping the status quo will also minimize the legal complications around your divorce. If you still choose to move, look for a place where your children can stay as well. You want to keep communication during a separation so you stay a primary parent - not the parent they visit. Keeping the status quo with living arrangements during divorce can minimize legal complications. The information in this article is based on information from Preparing for Divorce, a podcast sponsored by Main Line Family Law Center, in partnership with Divorce Essentials. It does not constitute or substitute for legal advice. Sharon Pastore is Co-Founder of Main Line Family Law Center, which was established in 2012. She is on a mission to generate awareness, understanding and trust around mediation as a healthier option for separation and divorce well before a client's first consultation. She draws upon over 17 years in nonprofit, education and marketing to enable more spouses to "get to the table" and mediate successfully. Connect with Sharon on LinkedIn.